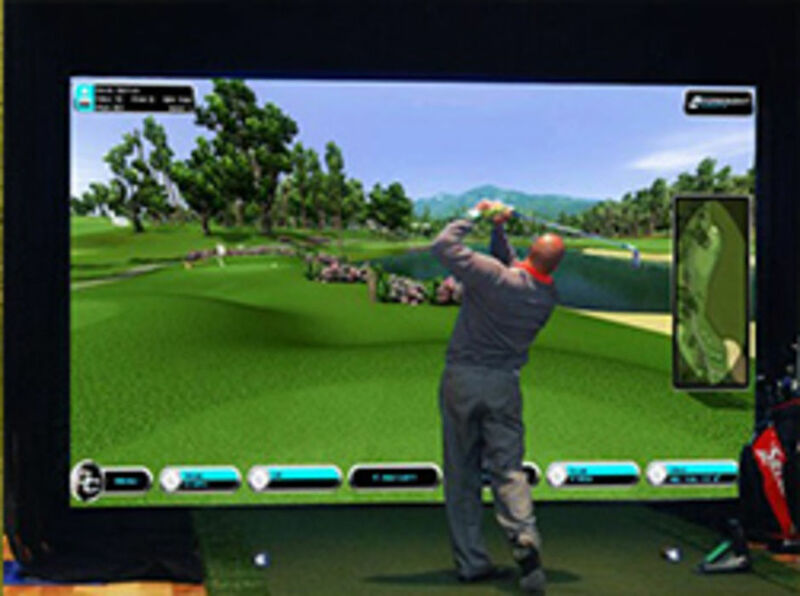 Cardiff Golf Club is proud to have one of the first club-owned state of the art GC2 indoor golf simulators. Set in our very own private studio which overlooks our first hole this really is the perfect setting to make use of the superior analysis and statistical support available to all users, whether you be using it to play 18 holes on one of the 15 courses we currently operate, practicing on our driving range option or using our gap testing option to really fine tune your distances. Social play is a big part of why this has proven so popular with special bar offers available for simulator room users only, Sky TV and seating area this is the perfect place to unwind with friends and family. There are so many uses for this amazing new technological advancement, which will help you improve your game - whatever the weather. Why not contact us today to arrange a practice session or social game over a few drinks? Contact us now to make a booking or for further information on this fantastic facility which you will simply not find done to this standard anywhere else. We have secured no fewer than fifteen different famous golf courses which can be played on "General Play". Every Member will be able to create their own ID on the Simulator including their handicaps which will automatically be used on the Simulator when playing various courses. Haven't got time for a full round? Fear not, you can save your game and return to it at a later date.